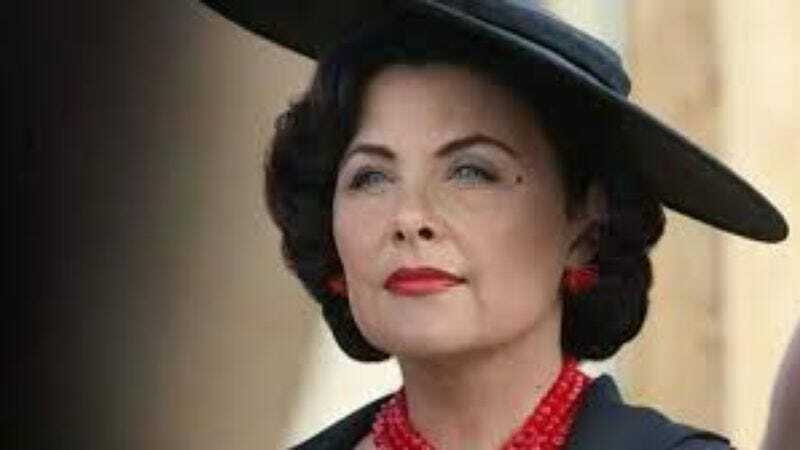 Deadline reports that Sherilyn Fenn will have a recurring role on the sixth season of Showtime’s Shameless. Fenn will play Queen, an “earthy, sensual, flouncy, flamboyant and joyous woman” who’s the mother of Sammi, the “lost” Gallagher. It seems Queen was Frank’s (William H. Macy) high school sweetheart—well, she was actually his high-school laundromat hookup, but hey, that resulted in Sammi, so all’s well that ends well, we guess. As the resident Earth mother-type, Queen will reportedly be an organic farmer who “loves to be naked” (which has got to be a prerequisite for this show). In true Shameless fashion, her vegetable farm will actually be a cover for her “massive pot grow[ing] operation.” Fenn is replacing Kelly LeBrock in the role, possibly because LeBrock couldn’t bear the thought of even a fictional Chicago winter, which is where the show will pick up when it returns in January. This will be the third Showtime series in which Fenn will appear in almost as many years: She had a recurring role on Ray Donovan in 2014, and she’s currently filming the Twin Peaks revival we’ve all heard so little and yet so much about.